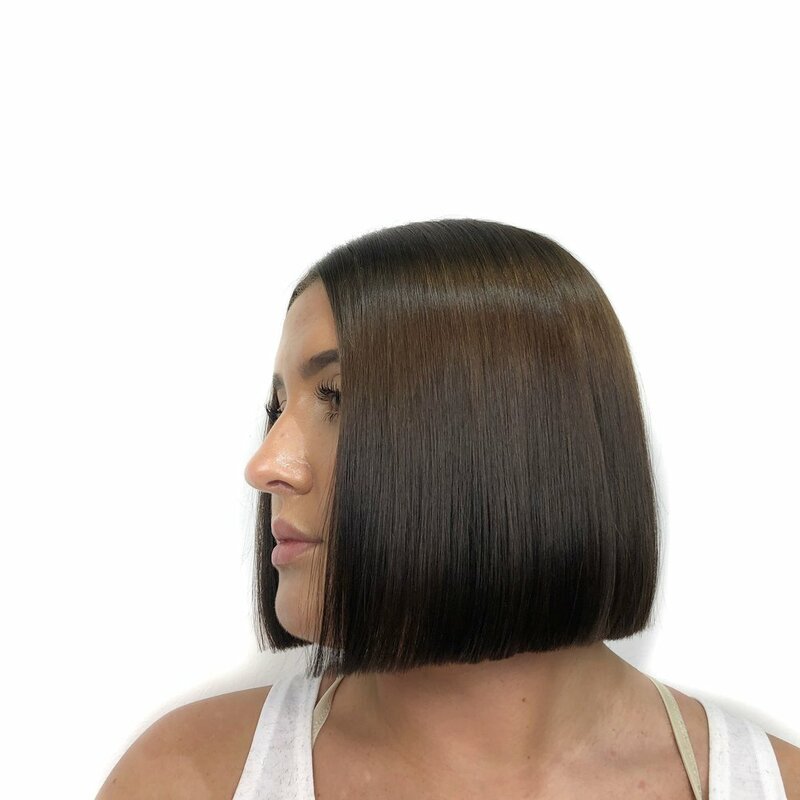 2019 Spring/ Summer Hair Trends we LOVE!! So spring is here (even though we still feel the chill of the winter), and us Jersey peeps know how quickly we can go from 50 degree weather to 80 degrees, hot, humid, and flip-flop ready. It’s hard to think that we’ll be on the beach any day now, and it’s only 6 SHORT weeks away from Memorial Day! 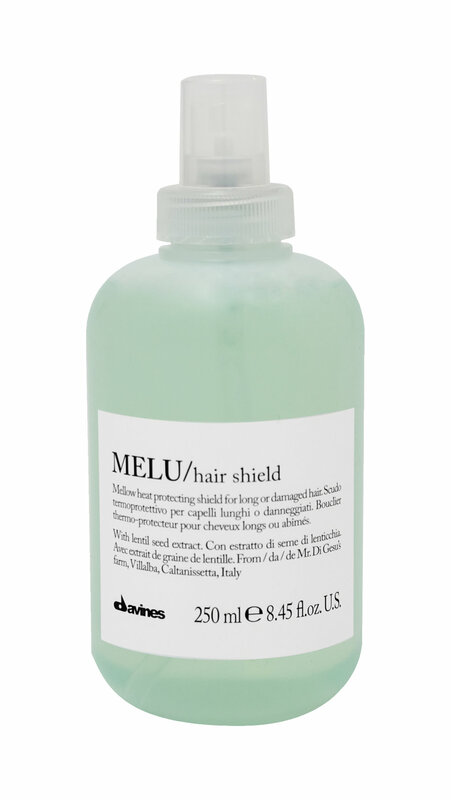 Works up to 450* on wet or dry hair. Perfect for all heat tools. The beach wave is hot right now. It’s become a new go-to look, and we don’t see that vibe going anywhere, anytime soon. But my high school heart is singing sweet tunes of No Doubt looking at all the super skinny straight hair looks! Living for the mega shiny, smooth straight, late 90’s early 2000’s tresses. Don’t let the PTSD of fried hair stop this look from happening; we have way better tech these days to stop that from happening. There are more sophisticated flat irons, actual heat protection mists, and hair masks with ingredients that are so active you can almost see them dancing in the packages. P.S. if your hair is extra challenging during the humid months ask about our Organic de frizzing treatment that last 5-6 months!! Okay, there’s nothing basic “B” about rocking a one length. This LBD of haircuts might be on my forever hot list. You will see this look all throughout the spring and summer. Celebrities like Kendall Jenner and Karlie Kloss are flaunting this classic look. We love it for fine hair to add density and volume. My personal favorite is seeing this shape on curly hair for some serious volume. 3) Shag is here and lets be clear … it’s still awesome. Love, Love, and Love me some amazing texture. No secret that a razor shape is something I lean towards these days. The shag is a great go-to for anyone with tons of weight or heavy hair, and AMAZING for curls. A curly bang is some sort of magic we cannot live without seeing this season. Everyone is loving the 60’s/70’s inspo. No, not the bleached out, crazy silver look that all the cool kids were doing last year. Actual, natural grey hair. The silver fox look is no longer just for the boys or for someone who “ just gave up.” It’s a freedom from color, and the masses are loving it. I personally love the look of my natural grey hair and have rocked it for years. I got bored a few months ago and went blonde again, and now I miss my grey. I’m looking forward to rocking this trend again! No not Clairs, or icing. Rad hair accessories that pop. Statement pieces talk. Great to make your lazy day hair look polished, purposeful and awesome. So who is up for a change? We are in full throttle Spring mode right now and excited for all the seasons looks! !